Alexander Mayer is the deputy director of the Postsecondary Education policy area at MDRC. 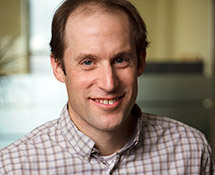 He is currently project director for MDRC’s evaluation of Achieving the Dream, and his research at MDRC includes the Performance-Based Scholarship Demonstration, the Opening Doors learning communities program at Kingsborough Community College, the New Mathways Project, and the Behavioral Interventions to Advance Self-Sufficiency project. He holds a PhD in political science from the University of California–Davis. Dr. Mayer co-leads the strategic direction of CAPR.